Back at CES 2013, Oculus VR gave the world a glimpse of the future of gaming: a pair of modified goggles/headset that promises to alter the way you game. Called the Oculus Rift, the headset features head-tracking technology that transfers the movement you make with your head into the game you’re playing while wearing the Oculus Rift. The Oculus Rift obviously struck a chord with the gaming community: its Kickstarter campaign raised more than $2.5 million in backing, and its hackability opened up all kinds of possibilities. Now, with interest in VR gaming once more at a high, another company has announced another accessory to complement the Oculus Rift. The Virtuix Omni is a “natural motion interface for virtual reality applications”. 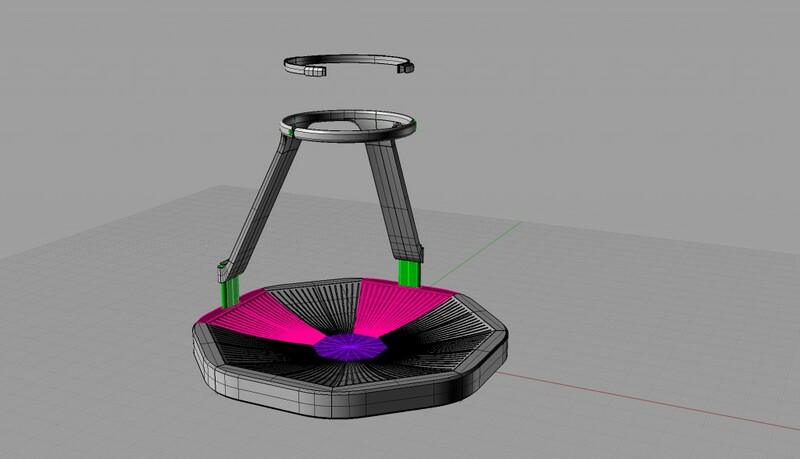 Its omni-directional treadmill tracks motion and transfers them in-game, similar to the Oculus Rift. Of course, Virtuix sees even greater potential for the Omni than just for VR gaming. The Omni has huge potential in training and simulation, virtual tourism as well as physical therapy, among others. Like Oculus VR, Virtuix has not yet begun production of the Omni. Rather, it is in the process of preparing a Kickstarter campaign to launch the Omni. To show off the technology, however, the company has released some videos of the Omni in action. Most recently, it released videos on its YouTube channel showing off the Omni paired with the Oculus Rift in games such as Team Fortress 2 and even Skyrim. While it is nothing in the scale of the “Ultimate Battlefield 3 Simulator” that The Gadget Show pulled off, there is indeed great promise for the future of VR gaming with the Virtuix Omni and Oculus Rift. Find out more about the Virtuix Omni and Oculus Rift on their official websites here and here.